Recent evidence suggests that the presence of a systemic inflammatory response plays an important role in the progression of several solid tumors. The neutrophil-to-lymphocyte ratio (NLR) has been proposed as easily assessable markers of systemic inflammation and has been shown to represent a prognostic marker in prostate cancer in previous studies. 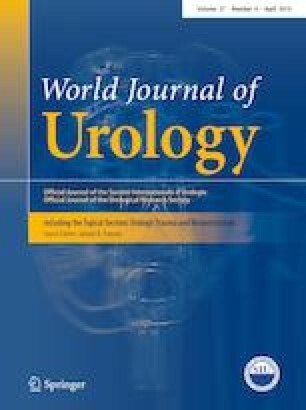 Data from 668 patients with localized prostate cancer treated with prostatectomy (open and robot assisted) in Singapore General Hospital from 1998 to 2014 were analyzed. Correlation between NLR and histopathological status was analyzed. Association between NLR and distant metastases-free survival (MFS), cancer-specific survival (CSS), overall survival (OS), and biochemical disease-free survival (BDFS) was assessed. NLR was not significantly correlated with histopathological status, including Gleason score (≤ 6 versus 7 versus ≥ 8, p = 0.159), lymph node metastasis (negative versus positive, p = 0.159), or surgical margin status (negative versus positive, p = 0.494). NLR was categorized into two groups (< median and ≥ median, median = 2.09) and NLR ≥ 2.09 was not a prognostic factor for decreased MFS (p = 0.609), CSS (p = 0.302), OS (p = 0.722) and BDFS (p = 0.589). No difference was observed for NLR even in high-risk subgroup patients compared to the rest (p = 0.058). The area under the ROC curve (AUC) of NLR as a prognosticator for biochemical recurrence was only 0.53. Our findings indicate that pre-treatment NLR may not predict prognosis in patients with localized prostate cancer treated with prostatectomy in an Asian cohort. YL: Project development, Data Collection, Data Analysis, Manuscript writing; HHH: Data collection and Data Analysis; WLKO: Project development, Manuscript writing and amendment.